Wendell Berry, author and environmental activist, said, “To be interested in food but not in food production in clearly absurd.” To most people in the U.S., food is simply something one conveniently finds in a supermarket; it is also a commodity that never seems to run short, despite the prolonged hunger problem in the U.S. But, where does all this food come from? It comes from seeds that have been engineered to give higher crop yields, along with the assistance of fertilizers and pesticides among other agricultural chemicals, of course. Utilizing genetically modified crops, the current popular means of growing food for the U.S., is inefficient and environmentally degrading. Though it does lead to higher crop yields, genetically modified crops — and the chemicals necessary to ensure the high crop yields — degrade the soil beyond any repair that would naturally occur in our lifetimes. In a way, the degradation of soil by genetically modified crops traps farmers. Because their soil is degraded due to the genetically modified cropping system, they might find it difficult to grow any sort of non-genetically modified crop and attain even a semblance of the high yields gleaned from genetically modified crops. These crop types result in soil nearly devoid of nutrients, perhaps also in part by the single crop that has been grown on said plot of soil for possibly several growing seasons. Inefficient/ industrial farming practices lead to food that is more expensive, less fresh and more likely to be thrown away earlier than it ought to be. Many of the issues noted previously could be rectified if the U.S. placed greater emphasis on urban farming, which when practiced correctly is more sustainable and yields crops grown with significantly fewer chemicals than commonly used in industrial farming. Aside from the health advantages to the consumer of more local farming, the price of said food is ideally lower, as the packaging and transportation costs associated with produce from industrial farming is greatly lessened. Packaging on fresh produce is relatively superfluous, and transportation of the produce is at a minimum because said produce was grown locally — say, within an hour of the town or city that it is sold. However, local produce — especially when it is purchased in a store, such as a co-op — can border on exorbitantly expensive for the average consumer, thus making this fresh and local produce something to which the elite have principal stake. As I have mentioned in previous columns, there are places in the U.S. where people are not even able to access fresh produce and other healthy foods — usually places where racial and ethnic minorities reside. Perhaps a solution to this is eliminating the unnecessary food waste in the U.S., and instead using the food that is still good—even if outside its “expiration date”— but that grocery stores refuse to sell, and donating it to those in desperate need of food. Expiration dates on food are legally required on all baby formula, but the expiration date on all other products is not required; rather, it is a way to bring the consumer back to purchase new “good” food. While it is true that most food that has not undergone rigorous processing goes bad in a relatively short amount of time, the “sell by” and “use by” dates on food products are often earlier than the food’s actual expiration date. This is also a driving cause behind the exorbitant amount of food waste in the U.S. This is a major problem, because grocery stores are seemingly forced to throw out perfectly good produce and dairy. Surely, the unused “expired” food from grocery stores could be put to better use than sitting in a landfill. In our own homes, the typical practice is to throw out food that has passed the listed expiration date. With local farmers, there is no expiration date appended to the produce given. Why is the U.S. not placing more emphasis on local farmers and urban farming? This question is not meant to say that the U.S. has not made steps towards urban farming — it certainly has. However, the U.S. has a long way to go before the full potential of urban farming is taken advantage of by communities and individuals. There are a number of ways one could go about participating in urban or local farming. The easiest, perhaps, is to shop at a co-op if there is an affordable one nearby. Another way is to purchase a “share” of a Community Supported Agriculture program. This tends to be a more cost-efficient solution for those who cannot afford the Whole Foods prices associated with fresh and reasonably local produce. The higher-maintenance option is to purchase a plot in a community garden. Community gardens are still working to take a hold in the U.S. Despite this, the return on investment in a community garden is great, and the “owner,” who has grown all the crops yielded in that plot of soil, knows exactly what seeds were used and what chemicals or natural fertilizers (if absolutely needed) were used. From previous experience, I would gladly attest to the financial and environmental sustainability of a community garden. It is the epitome of local farming. However, the root to success of local and/ or urban farming is the people’s’ willingness to engage with their community and a wish to personally connect to the farmer growing the produce they consume. In this case, it may be one part education and one part courage that will be needed for the potential success of local or urban farming to take root in communities. Regardless, as the yields of genetically modified crops stagnate and start to fall, people will eventually turn to their local farmers, and these local farmers — not the industrial farming corporations — will dictate the future of food production. 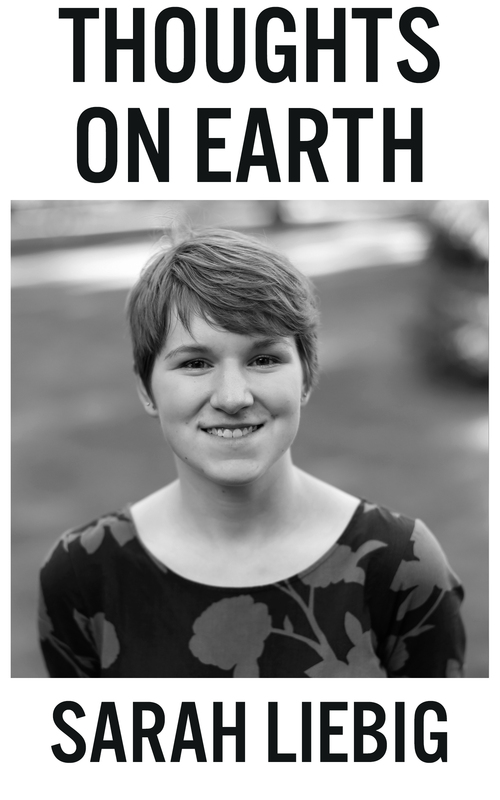 Sarah Liebig is a senior studying English Writing and Global Studies: Worlds in Dialogue. Liebig's principal interests lie in social justice and environmental concerns. Upon graduation, she intends to study law. 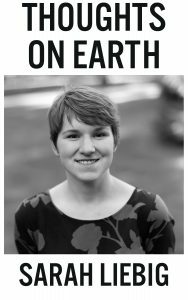 Liebig is originally from Lincoln, NE and is the only child of two soil scientists. She shares permanent residence with two cats, Oscar and Ophelia.